our wine travel bag now distributed in scandinavia! 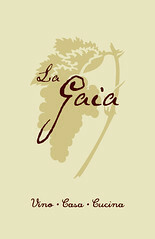 we are proud to announce the partnership with la gaia in scandinavia to distribute our wine travel bag. the travel bag has proved super useful to thousands of people travelling to wine country. it is perfect to carry wine bottles inside checked-in luggages, it is re-usable, and super easy to use. we also have distributors in the UK, USA, and France.